Jessica Plaspohl has joined the staff of St. Joseph Parish as Parish Catechetical Leader responsible for programs including the Parish School of Religion (PSR), Rite of Christian Initiation for Adults (RCIA), Sacramental Preparation, and Youth Ministry. Plaspohl was previously the Director of Faith Formation at St. Matthew Parish in Akron, OH for 7 years and prior to that position was a religion teacher at Gilmour Academy in Gates Mills, OH for 3 years. She is a member of the board of directors for the Midwest Holy Cross Associates. 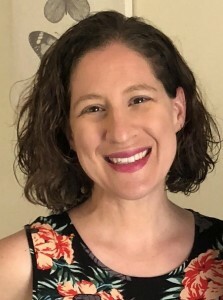 Plaspohl received a Master of Arts in Theology with a concentration in Catholic Bioethics/Moral Theology from Holy Apostles College and Seminary in Cromwell, CT. She gained her Bachelor of Arts in Religious Studies from Ursuline College in Pepper Pike, OH. Plaspohl is a graduate of Archbishop Hoban High School in Akron, OH.